Dressing for an interview is the first step towards making a good impression… and getting it wrong can totally undermine any other positive aspects of the interaction. Rather overdress than underdress. Consider the position you are interviewing for and put together an outfit that would be considered ‘smart’ for an employee in that position. Ensure your shoes are polished and your clothes are clean and ironed. Be conservative in your choice of attire, i.e. avoid loud ties or other fashion statements. Make sure that you are well groomed. This includes the obvious basics such as neat hair and clean nails. What is acceptable will vary by company and interviewer but use common sense as much as possible. For example, excessive facial piercings and brightly dyed hair would not be suitable for an interview for a position in an office environment. Also, be mindful of showing off all your body art – save that more for social occasions. In order to get into the right mental space for an interview it’s best to start early. Start going through the process in your mind a few days before the event and think of any obstacles you could encounter. Work out the best route to travel on the day considering traffic conditions and other possible delays. To be in the best frame of mind on the day make sure you get a good night’s sleep the night before and eat healthily. These are some basic steps to take but will go a long way in giving you the clarity of mind that will give you an edge in the interview. Researching the company is vital for two reasons. The first reason is that you will need to answer questions that demonstrate either your direct knowledge of the company and its operations or knowledge on how your skills fit into their strategy. The second reason is that you need to get a feel for the company culture and form your attitude around this. For example, if the company puts a big emphasis on environmental awareness you need to be cognisant of this in your approach to answering questions related to the topic in any way. It’s also very helpful to get an overview of the people who are interviewing you. See what you can find out about them on the company website, LinkedIn or other social media. You can also use any industry contacts you may have to tell you a bit about them. Of course, try to do this discreetly. Companies are in a constant state of competition and demonstrating a good knowledge of the “playing field” will stand you in good stead. Look up which companies the organisation competes against and with which products. Try to ascertain what the various companies market shares are. For some organisations, such as those in FMCG, this can be done by simply going to a few major chain stores and calculating the company’s products shelf space. Take note of pricing gaps and categories as well. If your interview is with a bank or an accounting firm your research will be mostly online, looking at business trends and new regulations perhaps. You will know what is important in your chosen field and the important thing is to be both curious and thorough. This is to prepare you for situations that would normally catch you off guard. By doing a bit of planning you can appear to be someone who can seamlessly think on their feet and who would have no trouble responding to potential customers on behalf of the company, or solving problems under pressure and on the spot. Before the interview starts, and when it ends there will be periods where the interviewer will engage in small talk. Think of the type of questions that could come up and then think of answers that will demonstrate that you are thinking clearly and alert. This may seem unnecessary but when people are nervous they tend to hesitate, “go blank” or give random answers. The small talk can be as mundane as the weather or some current affairs topic. In the same way you should prepare for the inevitable tough questions. Every interviewer has a couple of these on the list. Examples are: where do you see yourself in 5 years; what challenges did you face in your last position; what is one of your weaknesses. You can also refer to our article “How to answer those tricky open-ended questions” for tips on these! Stalling techniques are not ideal, however they can be helpful when you are out of ideas and the interviewer may appreciate that you have not created an awkward silence. If done skilfully the interviewer will not be bothered at all. An example of this would be if the interviewer asks you to name three of the company’s competitors. You know the answer but can’t think of it off-hand, so you start the answer by talking about another aspect of the competitive environment and come back around to name the three competitors. Your research into the company and its industry will help you with this. As will your working knowledge of the type of role – assuming you are coming from a similar role. If you are coming from a completely different position, or it is for your first job, you will need to do some research into the role requirements. Asking insightful questions shows the interviewer that you are both capable of thinking along the correct lines as well willing to put in the effort to find out what is important. You need to keep in mind that this is a very short space of time in which to create an impression on the interviewer. They only know what you have put down on your CV and so the hour or so you spend with them is a very brief window of opportunity. Think of the interview as a sales pitch in which you need to sell yourself. The person who gets the job is not always the person who is most suited to it – it is simply the person that the interviewer is convinced will be most suited for it. 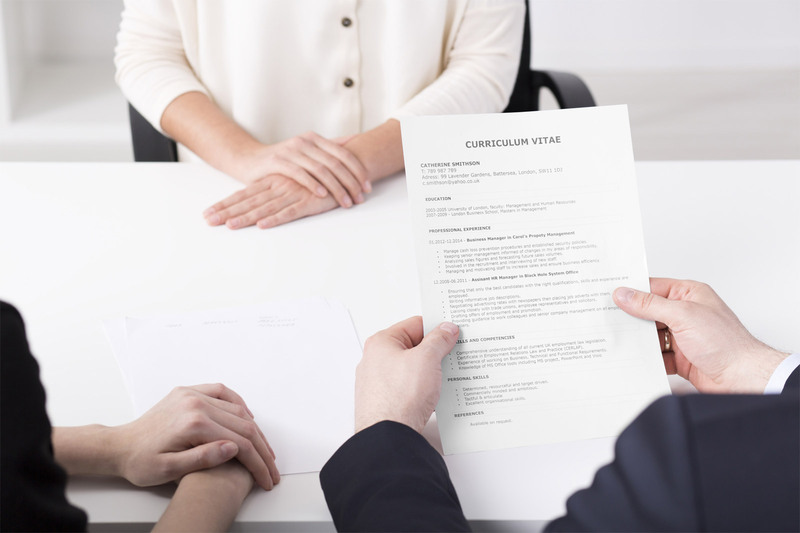 This is not to say you should bend the truth or be overbearing but you must make a conscious effort to win the interviewers’ trust and affection. Body language is a lot more important than we think. It plays on the subconscious and has a huge influence on the outcomes of decisions such as who to hire. Maintaining eye contact with your interviewer is very important as it shows that you are focused on the conversation and have respect for the person and the process. Avoid fidgeting even though you may be nervous. Don’t slouch in your chair and keep your body straight and steady. Your conversation must be upbeat. Negativity is very off-putting and sends terrible signals, even if unintentional. One thing you must never do is slate your current or previous employers – it is very poor etiquette and you would be surprised how many people do. Keep your answers focused on the question given and be as clear and concise as possible. The interviewer will be happy to engage in off beat conversation if he or she invites it but if they have asked a direct question they do expect a direct answer. Being well prepared all round will allow you to appear confident throughout the interview process. Confidence in an interview is one of the best advantages a candidate can have and will certainly give you the edge over your competitors.